For those that are visiting the Philippines and want to learn more about Filipino culture and heritage, one of the best ways to do this is by visiting some of the country’s many museums. The museums that can be found throughout the Philippines each have their own areas of focus, so for those seeking a potent dose of culture, these are the venues most worth visiting. The National Museum of the Philippines has thirteen branches scattered all over the country, but it is the museum’s Manila branch, which can be found in Rizal Park, that is most definitely its finest. This museum has three separate buildings; the Planetarium, the National Art Gallery, which was created quite recently in 2003, and the Museum of the Filipino People, the latter of which is most definitely a cultural hotspot. Situated in a neoclassical building, the collection here is truly varied, and even includes the skullcap of one of the earliest known inhabitants of the Philippines. In addition to this, visitors will also be able to explore the journey of the Filipino people from pre-colonization to the present day, learning about how their culture has evolved over time. 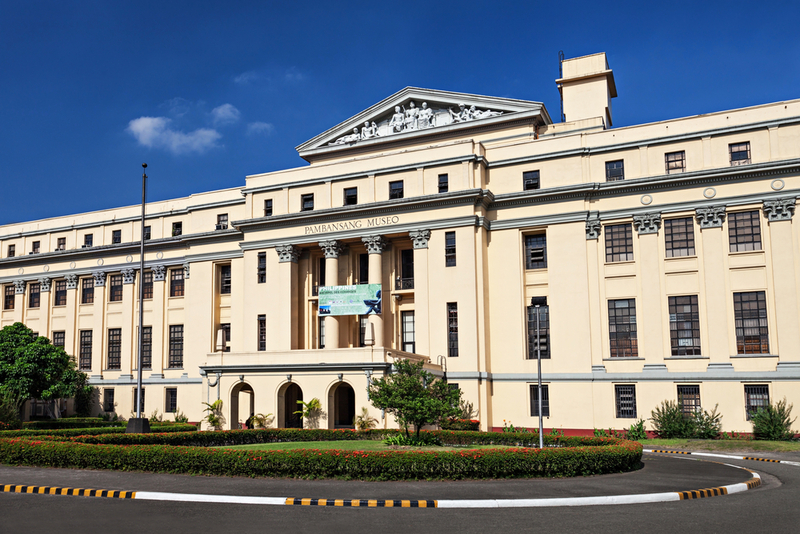 The oldest existing museum in the Philippines, the University of Santo Tomas Museum of Arts and Sciences has been well-preserved for over 300 years and boasts a collection that it can truly be proud of. A large part of its collection consists of indigenous cultural artifacts and these are the displays that will teach you the most about Filipino culture. From the tribal musical instruments to the petrified animals to household objects, this museum is a great place to soak up some Filipino heritage. Makati City’s Ayala Museum is considered to be one of the most important private museums in the country, as it is home to some rare and exclusive cultural treasures that simply cannot be found anywhere else in the country. While the Maritime Vessels Collection, with its display of ancient boats, and the fine art collection are both worth exploring, the museum’s collection of ethnographic artifacts is where you should head to first if you are short on time. It is here that the cultural objects from some of the Philippines’ minority communities, from both the northern and southern parts of the country, are displayed, featuring everything from body ornaments to clothing to weapons to ritual objects, giving you a unique insight into their lives. Filipinos have a deep sense of pride when it comes to their unique culture and heritage, and this strong national identity can be seen in full force at each of these fascinating museums. While many may consider Manila to be the cultural epicenter of the country, museums can be found throughout the Philippines, and many of the more rural ones are home to items that cannot be seen in big city museums, making these smaller institutions just as worth visiting.